"With Graphic Language’s help, we have a beautiful, user-friendly website that we’re extremely proud of and has yielded great results. We have tripled our year-over-year unique visitors to our website one year after launch and have really taken our digital presence to the next level. Graphic Language’s work and expertise are critical to our day-to-day business and marketing efforts." Southern Homes knows quality. What’s more, they know relationships. 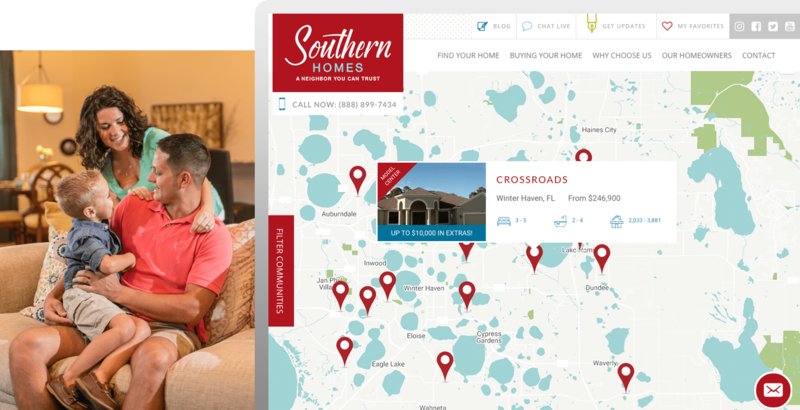 For 25 years, Southern Homes has been building new-home communities in the Central Florida region where they live, play, and work. For this reason they’ve become known as a neighbor you can trust. 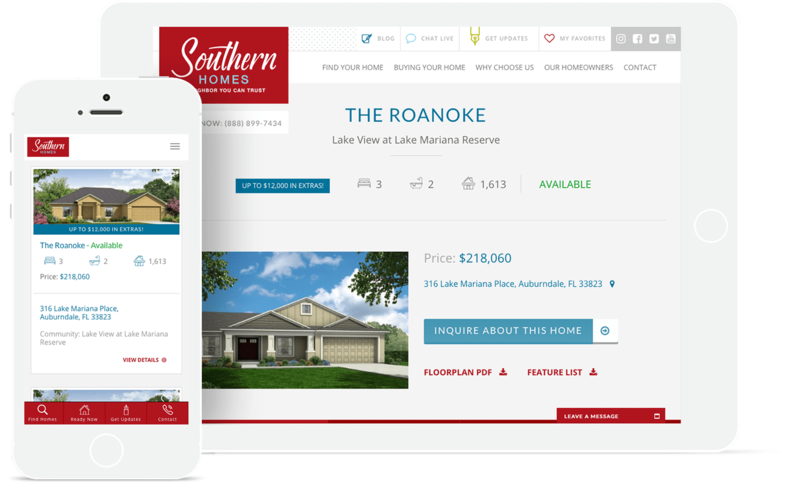 Southern Homes required a qualified digital agency to communicate and build their digital brand and showcase their homes in the most compelling manner possible. Much like the Southern Homes mantra, My Home, My Way, they required a website specific to this unique brand and sales proposition. 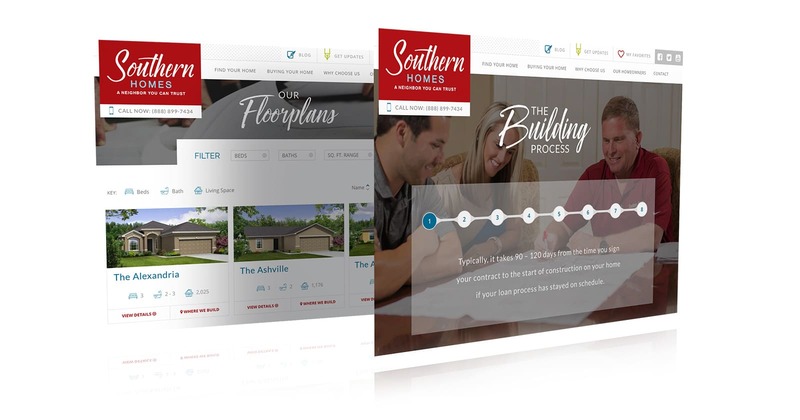 The new website clearly communicates their intuitive buying process, building process, design center choices, build-on-your-lot and homeowner assistance. In addition, it’s brimful of engaging interactivity and robust functionality to persuade users to stay longer, and tools to keep the site fresh and new. Digital brand introduction. Easy home search. Highly Interactive design. Robust functionality.